Top 10 Rarest Birds of 2018! 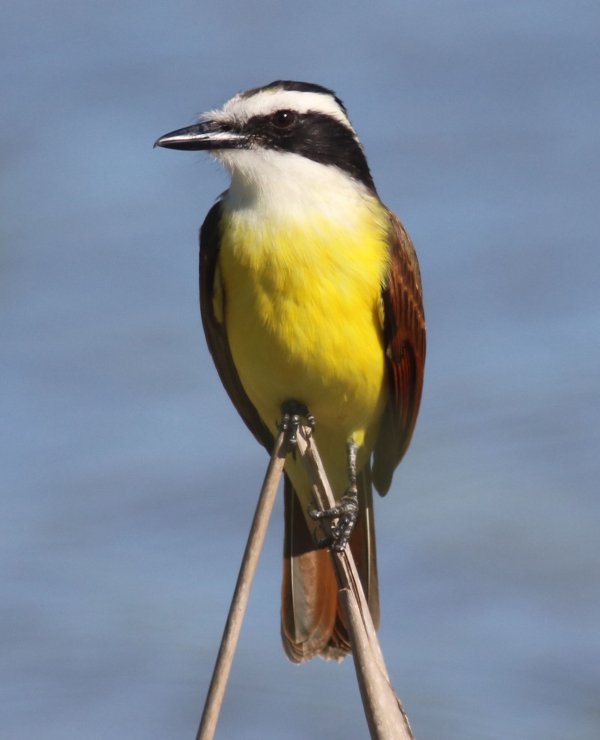 A Great Kiskadee was an especially rare find in Ontario, but the grandest of all rare birds was the immature Great Black Hawk sighted in both the states of Texas and Maine. The annual Top 10 Vagrants is one of the American Birding Association’s most popular and most discussed subjects on the ABA Blog each year. Compiled by Nate Swick with help from his ABA colleagues, the “Craziest Vagrants of 2018” include such unheard of, off-course, rare birds as the Fan-tailed Warbler in Arizona, a Tahiti Petrel offshore from North Carolina, and a Stygian Owl in Florida to name a few – but also the still-present Long-Legged Buzzard in the Pribilofs’ Saint Paul Island in far-west Alaska – but read on to find out the Top 10 and the Prize Rare Bird of 2018! Post Note: Considering a message posted from ABA member John Puschock, maybe the western Aleutian Islands should be heralded as one of the best rare bird regions for 2018. John shared that the 2018 spring migration in the Aleutians was exceptional at Attu, Kiska and Adak Islands, where at least 33 vagrant Asian species were observed during the span of about three weeks! The total included a pair of Falcated Ducks, a Far Eastern Curlew, Black-tailed Godwit, all four stint species, a Spotted Redshank, Kamchatka Leaf-Warbler, Gray-streaked Flycatcher, Dark-sided Flycatcher, three wagtail species including at least three Gray, Olive-backed and Red-throated Pipits, and more – plus it was a good year for Mottled Petrels at sea.